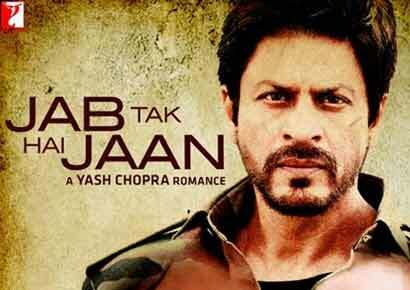 The hugely anticipated Shahrukh Khan, Katrina Kaif and Anushka Sharma starrer Jab Tak Hain Jaan is all set to release in Pakistan amidst rumours that the film would be banned in the country, as it was believed to have portrayed Pakistan in a negative light. Filmmaker Yash Chopra's final project would now be released in Pakistan after Yash Raj Films (YRF) assured that the plot of the film would not hurt the sentiments of Pakistanis. "The film has received one NOC (No Objection Certificate) from the ministry of regulations and services and is now awaiting another from the ministry of commerce. After this it will be all set to arrive in Pakistan," The Express Tribune quoted chairman of IMGC Global Entertainment Amjad Rasheed, as saying. Avtar Panesar, Vice President of International Operations at YRF said: "I can confirm that the film has nothing that may be construed as anti-Pakistan; (it) is a simple love story. We have always respected the law in any of the countries we release our films in and Pakistan is no exception. We will respect the law of Pakistan and the release will take place once the formalities are completed. Apart from being Yash Chopra's final project, it is also the only Shahrukh Khan film to come out this year and his first film with Katrina Kaif, which makes celebrities and audiences alike excited about its release.